Eh Eh (Nothing Else I Can Say).. lagu chumel!! So I was wrong, it WAS Lady Gaga hehe.. mane nak tau, didn't sound like her type of song pun. And suda pun dpt download lagu nih but even though dah dgr berkali², I still don't understand the lyrics :D Aci tak? Juga got to know I salah.. not 'chili² boom²' (mcm nak cili mulut org la plak kan klau dia nyanyi cenggitu) but the cuter 'cherry² boom²'. Sedaaaaap skitt hehe..
2. Kenal dari dia darjah 4 kot and I was, what? In matriculation time tu? Ni yg malas skit nih.. aci tak recycle bende² yg penah ckp dlm entry lepas²? 3. Dlm kete klau drive sensorg, suke nyanyi smbil dok feel sorg².. pastu termalu bile pasan org kiri kanan dok sengih je tgk or bile pegi kelas and student ckp, "Cikgu, aritu sy nmpk cikgu nyanyi sambil nari² dlm kete" hehe..
7. Also never outgrew being ticklish (my worst enemies are people who tickle me ;p) and the tendency to shriek like perempuan gedik everytime I'm suprised (and I get suprised VERY easily tau.. sgt malu!) Not that I don't try but the shriek comes out before my head says STOP and then sy akan sgt termalu sbb mcm sgt gedik je rase! 9. A pessimist.. always expecting the worst! Teruk kan? 1o. Always tatau nak jawab ape everytime tagged to write thing about me.. but then when I'm idly doing something else, I could list down hundreds of new thing about myself haha..
2. Misa sbb blog dia berabuk hehe..
3. Arep, jugak atas alasan yg same. Sile² abg Korea..
4. Hairil.. kate nak beli vacum utk blog?! 6. 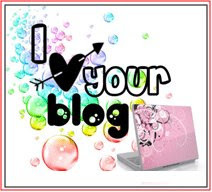 Liza.. who has an entertaining blog! 10. Ayeen coz I miss her! Yesterday when coming back from my tuition class, I was listening to the radio and a song came up. It reminded me of my school girl days when Britney Spears was stil made of sugar and spice and all things nice. Sgt bubblegummy..
Hmm, most of you have nver heard me complaining about my next door (left side) neighbour. The Mrs is okay as well as the kids, its the Mr I have a problem with. Eversince with kak Shima and kak Kathy, through the time Yun and Elie were my housemates saaaaaaaaampai la Rusya, this pak cik like always je carik pasal. Especially time wife dia takde.. so I did what I do best, ignore and avoid him! Anyway, 2 days ago, I noticed 2 cars in front of the house. Then I heard a gelak ala² penjahat kat drama² melayu from the house. Gulp! Apekah ini?!?! Then semalam, I realized, bukan 2 cars but 4 cars and at least one motorcycle. Aiyak! Upenye kate Arep (jugak jiran baru sy tp belah kanan umah, pakcik tu nye umah belah kiri), budak² 'bujangan' (Arep nye word) yg duk situ. Ramai la pulak tuuuu..
Alaaa.. chek tak sokaaa! Pasni tak leh nak ngelat, kene bertudung litup ngan sempurna je even if nak kuar amik bende dlm kete (klau tak, pakai campak je selendang atas kepale). Mesti jadik anak dara sunti je tak kuar² umah..
Klau Arep and the gang takpe la jugak, leh je nak buat perangai sembg tepi pagar style makcik² bergossip ptg² but when its people I dunno.. alaaaaaaaaaaaaaa, tak suke!!! I didn't actually plan to stay up tonight. In fact, I was planning to retire early as tomorrow (or lets just say 'in the morning' which is just a few hours je lagi) I have plans for a girls day out with Bart yang akan disertakan sesi keluh mengeluh hehe..
Tp telah mendapat call dari Remy and lepas seronok comparing this year and last years Sedim Expedition, I found that I wasn't THAT sleepy anymore. So I did what I usually do when I can't sleep.. Facebooking! Still, tetibe terase nak bercakap pasal something that went through my mind today.. I haven't updated on the Sedim thingey but my friends would know, I enjoyed it (sbb klau I tak enjoy, konpem dah ade entry ngate kaaaan haha..). Before going for the program, I was already certain I was gonna enjoy it because of one thing: I thought I was sick of my students! Noooooooooo.. bkn sy tak suke student² sy (Sorry Irfan.. do not misinterpret me okay). Its just that this year I've been handed classes from form 1 to form 5 in 3 centres. I have classes EVERY night from Monday to Saturday plus another class on Saturday afternoon. And eventhough I have free Sundays, sometimes, I just feel like I need a break from these hormone-filled kids. As a rule, I hate missing my classes but the oppurtunity to miss classes during the Sedim thingey was sooooooooooo tempting..
..and somehow, I DIDN'T enjoy my last two classes after my come back. Not that I showed that feeling to my students laaa.. kecik ati deme nnt. But I just couldn't feel excited enough..
Then today, I had my most patience-challenging class.. my fifth formers! (Once again, sorry Irfan haha.. but you understand, don't you?) Even the thought of the class made me feel sooo tired. Don't get me wrong, I love this class the most, in fact. Its just that these kids sometimes.. I dunno.. they just drain me a bit more than my other classes, I guess. Then the fourth row is filled by my two favourite male-students (who ask and answer enough questions to make my day) and another two quiet boys (kire balance la kot ek?) Then the last row at the back is filled with intelligent 'clowns' who still think they have a long way to go before their SPM. Diorg ni pandai² tau, but sgt la suke main! I guess its because this class has such a wide range of diversity that drains me so much. There were times I just wanted to cry cause I KNOW their great potential but I can't seem to make them see it themselves. I don't wana give up on them but sometimes I just get tired.. So there I was, comparing how I felt looking after lil' kids and big kids.. and ashamedly feeling sorry for myself. Somehow, in the midst of teaching them Probability II and Bearings, I found myself looking at each face in front of me.. I would never be able to put all my students in one group, cause they're all so different from each other and whilst pondering on this thought, I realized.. "Gosh! We're heading into July now" That means, I'll only be teaching them for, what? 3 more months? You might think I was rejoicing with joy then, huh? But you're wrong.. I suddenly felt.. I dunno.. I had this huge lump in my throat then and realized.. Despite how down they sometimes make me feel.. how worthless and how wrong they make me feel I am for them, I realized, I really do love them! I love how they make me laugh. I love how they act when they finally think my lessons are worth their time. I love how they sometimes trick me into doing things. I love it when they're happy. I love it when the girls giggle around me and I smile when I remember how some of the boys apologize when they realize they've just stepped outta the line.. and I just love knowing I have this big box of memories inside my heart that revolves around them! Suddenly, I don't want time to move on. I don't want the next 3 months to pass as quickly like the past 6 months have and I realized, I've done something my friends have told me not to.. I've grown attached to these kids! Thats one problem I've never been able to overcome. No matter how many people tell me I grow attached and love people around me too easily, I still do it. And even though I've been hurt because of this, I've never learnt! But how can I? Watching the whole lot of them in class just now just made me love them so much more. I mean, its not as if they've even harmed me or anything kan.. they are just being their usual teenage selves. And I can't help feeling a bit guilty of wanting a break from them..
And its not just to them. I still remember my first students who called me 'kak Ayu' right till now. I still see them and they always stop by to talk with me whenever we accidently meet or something. In fact, some of them are still constantly texting me eventhough their last class with me was 4 years ago. And I still remember my first batch of students who called me 'Miss Ayu'. Most of whom I don't teach anymore but still remember me and still make me smile whenever I see them. As for my current student who call me both Teacher Ayu and Cikgu Ayu (I kinda miss being called Miss Ayu since I don't think I'm what you'd say 'layak' to be called Cikgu/Teacher), how can I forget them if I see them week after week, huh? Yes, I know.. I just posted an entry tadi and now I'm posting another one thee hee.. but I just got 2 v.nice suprises and can't resist sharing them..
First one from Leong. I had helped her (sampai tak tido malam oooo..) correcting a students thesis. Actually tak kisah sgt pun since my own research cam on freeze mode haha.. so what better way than to while the time away kan? At least I can brush up on my scientific writing. Besides, my MSc pun I owe a lot to her.. so I didn't actually mind. But somehow she still felt like she needed to show her appreciation to me so she bought something and had text me telling me about it. I had made up my mind to return it to her since I NEVER gave her anything after my MSc. But when I saw it..
..alamak! I fell in love with it laaaa.. tak dapat nak pulangkan hahah..
Sangat chumel! 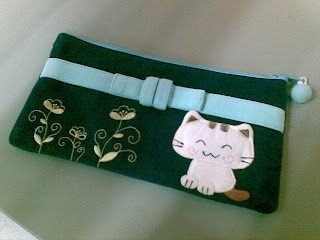 Goes with my bag and purse that kak Shima, kak Kathy and kak Zura had bought me a few years ago for my birthday. Except yg diorg punye is light beige in colour, and this time around I got something darker in colour.. but still chumel! Next one is while blog hopping. Suda brape hari tak blog hopping and rase sgt gatal tangan clicking around in my usual blogs. Then I noticed Aida a.k.a Chipunk (sy sorg je kan panggil awak Aida? Heheh..) asking me to go to her blog. Upenye she gave me an award.. yeay! 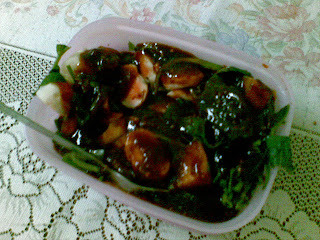 Thanx Aida :) Sy sgt suke..
Yummy! My favourite topic hahah..
Actually, hati nak update pasal Sedim tu, but gambaq tak mntk lagi from abg Fauzi nor Mazlan. Nanti la.. arini mau ckp pasal makan.. These last few weeks, ade je bende tingin nak makan. Before the demam roti kirai, was the demam sambal tempe. Tetibe jek, I felt like, by hook or by crook, kene gak carik. So thus, started my search for tempe. Dan sgt unlucky for me, sy tak jumpe pun. Gi pasar malam Jumaat pun takde, gi Pt Buntar market pun tadek, pasar malam ari Ahad pun yilek. Gi Billion pun takde.. aisehhh! Hati dah rase pilu menusuk kalbu dah niii..
Last² tu, one day tu after beberape hari tak tido buat module for the expedition, I decided nak jugak² tgk Night At The Museum (sian sy kan, sejak kelas tiap malam ni, sungguh la jarang dpt pi tgk wayang..) so sesenyap je la pegi on a Thursday morning.. aci? Anyway, the show was at 12.05pm and since I had arrived around 11.30am, I went around Jusco just to look around and wonders of wonders, I found this..
Yeay! Jumpe jugak tempe.. though mahal! Huh! Usually at the pasar malam you can get it at Rm1 per piece.. ni dah la harge mahal skit, RM1.50 (tu pun berkire ke, Ayu? 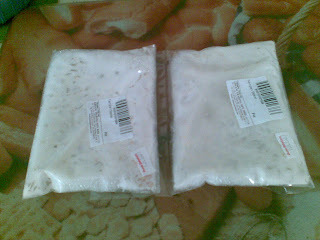 ), the size was also only two thirds of the one I could get from the pasar malam..
Aishhh, takpe la.. janji dapat! 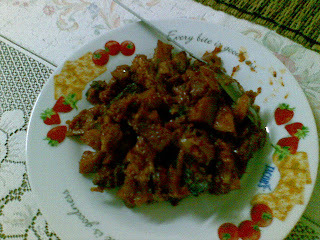 But as my luck (or the lack of it) goes, mase dok goreng the thick (my favourite type) slices of tempe, kak Nab called. Dok sembang punye sembang then tetibe terbau something yg sungguh sy tidak mahu terjadi.. hangus!!! Alaaaaaaaaaaaa.. sib baik ade skit lagi.. but the sad news is, the first batch tu more than half of what I had.. adeh! Takde rezeki jawab nye.. Yesterday pulak, dengan alasan masih penat (Lousy excuse.. I know! ), I decided to skip 'school' and stay home. But 4 days full of activities left me restless and a bit nyesal didn't go to school so once again I rummaged through the kitchen cabinets and found some dried fruit..
My very first fruit cake heheh.. A bit funny though since I'm NOT a fan of cakes tp bulan ni je dah 2 types of cake I tried. So smlm since Shahril pun dtg nak dengan our usual activity of 'bertukar juadah', I decided to cut a portion for his family. Then, Arep plak text saying he was in front of my house (nak pindah barang kaaan, ni la my new neighbour) so cut another big portion for him and his friends (smlm ade Rashid and Kole sekali) and have another portion to give to HiTEG. 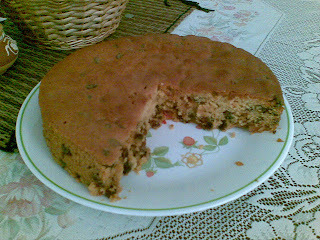 Still, kene brush up my cake making skills sbb gile manis my fruitcake though Mama dah pesan kene kurangkan gule.. Takpe². Practice makes perfect, right? Haaa, ape pulak ye 'pertukaran juadah' yang terjadi? 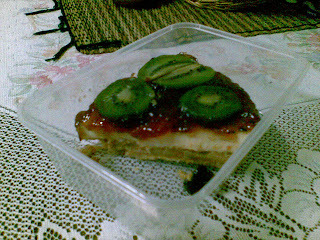 Tadaaaaa..
Shahril was trying Mas's recipe for cheesecake but he wanted to use kiwis instead. Yeay! Dapat rase.. nyum²! Ayu and cheesecakes memang no complaints hahah.. Ade lagi skit in my fridge. Yup! Came back alive and kicking from the Sg Sedim - Sg Pinang Expedition. Was meaning to do an update on THAT but just not in the mood. Plus, I don't have the picture for it anyway. Had a wonderful time.. hari² tanpe memikirkan PhD ku yang sudah lame ditinggalkan ini huhuh.. I loved and hated the kids all at the same time :) But this morning, I got to wake up late.. yeay! Hahah.. no more waking up earlier that usual. Still, I kinda miss the noise..
..AND my whole body has been screaming in protest. Courtesy of an unfit me. Gile tul, sungguh lame tak exercise so padan la jugak ngan muke kan. Even today pun, my legs are still a bit sore from the 'panjat'ing and 'turun'ing from various levels of the land. But haven't felt better in months.. so thats ok.. I guess. Anyway, as I had last year here, of course la I will update. Tunggu photos from the cameras assigned to us (Yes, each group got their own camera.. gile byk duit deme nih!). But takde la my photos hahah.. sy kan pemalu org nye tak suke amik gambo. Besides, sgt can harap to abg Fauzi to take my pictures at my worst moments haha.. tunggu je la gambo from him and from Mazlan la kot nih. Tgk le camne..
To Bai, Bart, Misa and Ami.. sy belajaq expression baru laaa.. 'panaih lit lit'. Believe it or not, budak JOHOR yang ajo me this expression hahah..
Ye, saya tau.. blog sy bersawang giler.. mahu diupdate tetapi tiade mase lagikkkk.. ni pun baru pas tolong bebudak ni angkat barang for tomorrow! Heheh.. tomorrow would be the 2nd time for our Sg Sedim-Sg Pinang Expedition. Tak tido sy siapkan modul untuk budak² ni.. tp hasil akhir, sy puas hati. Sbb? In the midst of helping Leong correct her student's thesis (yg almost a nightmare itself.. reminds me of my own thesis-writing period), helping Dr Taksiah with the IBS booklet and my owm serabutness, I got to produce a 50-page module hehe.. Tahun lepas around 30 pages but tahun ni dapat la tambah. Thanx to Sha (yg contributed a few pages), Arep (yg help me with ideas and lagu), Rahim (yg bg sumbangan idea disaat² kritikal) and Amir (tukang lukis dari tahun lepas lagik). Gile oooo, 2 mlm tak tido woooo.. Anyway, yesterday was the final preparations for it and arini relax sit, only a few lil' things. Then tomorrow morning will see us going to SKPJ to pick up the kids and thus start a 4-day expedition like last year. This time around, we have 'junior facilitators' who were previous participants of the project last year. I was the one to distribute the groups and I didn't realize that I got both budak² yg bes hehe.. yeayyy! Anyway, I'll be away from the PC for 4 days.. I hope its worth it!! 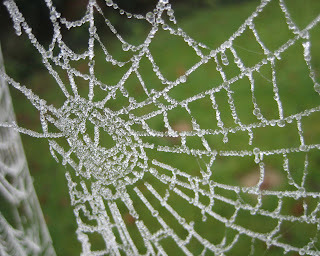 Actually I'm a bit 'too bz' today. A few tasks yang tak siap² tapi kene bg siap jugak like helping Leong with the thesis checking ( I soooooooooooooo understand her now hahah..) yg tidak lah ku fahami ngape tak siap², then the Sedim Expedition module yg jugak tak siap² (ketua fasi nye sgt malas kah?) and the IBS report. Suda juling mateku ini.. 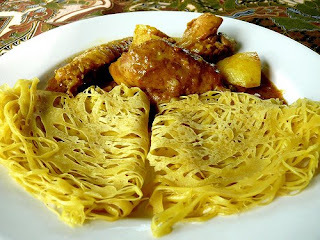 Anyway, as in last week, I'm still craving for roti kirai so I had put it in my status then. Today, I had added just another word in front of last weeks status. "MASIH tingin makan roti kirai sama kari daging with extra kentang"
Hahaha.. couldn't resist putting those 'messages' up here hahah..
Ayu.. Meh saya belanja roti sorai..
(This post was published to Ayu's Piece of Mind.. at 2:43:27 AM 6/10/2009) <-- Yeay! Jadik hehe.. Anyway, this morning I did a somehow stupid thing la jugak.. uhhh, kesian mereke yg tidak bersalah huhu..
I’ve always thought that I’m a night person. During my MSc writing stage, I could only write in the wee hours of the morning (midnight right to Subuh). I’d only drag myself home at Subuh, perform my solah THEN take my beauty sleep (still 6 hours la jugak so I can’t possibly call it a nap kan?). Tengahari come back to school but just to check if Dr Wan has checked what I had submitted (Yes! It was on a DAILY basis.. sungguh rajin supervisor ku itu hehe..), which he usually has. I’m a bit amazed though, he was the then Dean and VERY busy but still sempat check my thesis.. magic ape tah dia pakai! And its not the sekali-lalu type of checking. He’d notice a missing letter or the slightest misspelt word. Scary!! I was so into this ‘nite-mode’ thingey that Lie called me Kupu² Malam, oblivious to its meaning. He had actually thought it meant ‘orang yang kuat kerje w/pun di waktu malam’. I was horrified when he called me THAT hahah.. When I asked him if he knew what it meant, pecah perut rase nak gelak hahah.. baper kali dia mntk maaf sbb he thought he had offended me. Ai laaaa, Lie Lieeeeee heheh..
Back to yesterday. I finally finished checking Younes’s thesis around Subuh. I was a bit sleepy then and was only thinking of my bed back home so I quickly emailed Leong and Younes and told them about the file. As I clicked ‘send’, I could imagine my katil and bantal memanggil² so I switched off my pc, went home and performed solah before I just sorta ‘melted’ into my bed J My phone was switched of and I had a blissful 5-hour solid sleep, feeling satisfied that Younes would be able to do his corrections and send his thesis by the time I woke up..
..but was I SO wrong! I woke up and noticed 16 missed calls from Younes. I also got two text messages. One from Younes and another from Leong asking me to send ‘Chapter 5’. Still groggy from sleep, I replied telling her it was all in one file and I had not separated the files. Then, Younes called me and OMG! Apologized again and again to Leong and especially to Younes since he was planning to finish all corrections ASAP as he wanted to go back to Iran also ASAP. Luckily for me, they know how absent minded I am so they understood my honest mistake! Still, sy sgt malu bile ingat balik.. rase mcm manusia yang tak bertanggungjawab langsung. When I sent the file for the second time (tipu.. the EMAIL ye la second time but the file baru first time la sbb tak attach pagi tadi), I made sure I had attached the correct file! *Sheesh* When weill I grow outta this clumsiness pun tatau! Its 1am and I'm still in school..
Hehe.. actually I just arrived around 11pm tadi. Came home after tuition and realized my whole housing area as well as my jirans in Taman Sempadan were in the dark. Huh, ape tadek letrik niiiii.. I wanna watch TV! I've been reading and correcting Younes's thesis for quite a while now and wanna do some non-academic reading/writing.. thus, this jumbled-up entry. So bear with me please..
..eleeee Ayu. Macam la org bace sgt blog awak ni!! Heheh.. Fared was the one who told me about it right before our meeting. I quickly went to abg Joe with this large sengih on my face and before I could ask him, he handed me this box..
Actually, I won't waste money on these kinda things. But it so happened that my Bonuslink points were about to expire. I browsed through some things and found this item to be on the 'points-knockdown' list. After going through the other things I could redeem from my points, I decided the chopper was the most 'attractive' item on my list hehe.. Anyway, as I was trying to figure out what to put in my sandwich, my eyes fell on the tub of butter I got free a few weeks ago for buying some cream cheese. Then I started counting the eggs I had in my fridge. A little while later, I found the bottle of Sunquick orange that was partly hidden on the kitchen counter.. and finally I located the self-raising flour I had bought earlier. C'mon, reading all those ingredients, everyone should already know what I did that morning! Right?!?! THIS is my first time baking a cake (baked cheesecake aritu tak kire) When I was smaller, Mama loved making cakes to the point I was bored of it hahah.. Cakes NEVER interest me, I was more a cookie gal! Any cake Mama did was finished by the family but I'd only take a wee bit of it.. sometimes I didn't even take a bite. My friends also loved Mama's cake, but not me. Not that I didn't like the taste, I was just NOT a cake-person..
..the only cake I'd eat was the honey muffins I used to make. Tu pun I got tired of it quickly but didn't mind making them whenever there was a request. I loved baking them.. but to eat them was another story altogether. Still, kali ni ade beze. 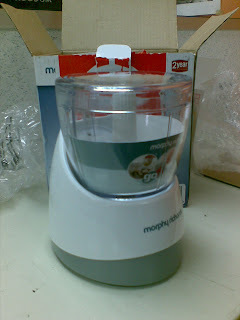 If dulu I used an electric mixer, kali ni I pukul gune hand mixer je, babe! Hahah.. baru tau penat lelah! 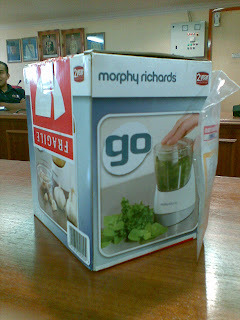 (Kunun, padehal tak mampu nak beli electric mixer :p) Kirenye my hand mixer tu (which incidently I also got from redeeming Bonuslink points) mmg berjase sungguh laaaaa.. 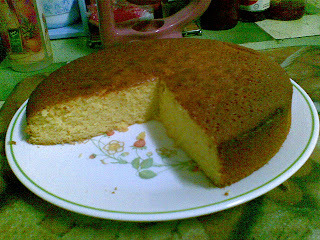 Though I had lost touch in the baking cake department but the cake turned out okay.. yeay! And guess what: Since I had only used half a tub of butter, I made another batch of cake mix and baked another cake while the first cake cooled on the rack! Hahaha.. mati la nak ngabiskan hehe.. So I had another 7 la kann and quickly decided to give one part each to Shahril, Lah, Pojie, kak Hafsah, kak Jah, Ija and HiTEG. 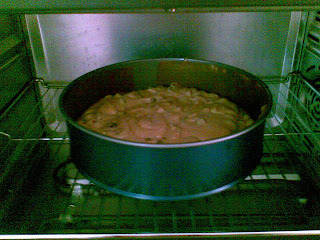 Selesai masalah heheh..
Hmm.. maybe I WOULD try other cakes lepas nih hehe..
Tadi sy lapo nak makan nasik tomato. Sy pun pegi Bamboo Inn.. tp sy nmpk satu bende yg lazaaaaaaaattt.. apekah itu? ..tp klau tak pi, mana mau kutip berkat, Ayu? Hehe.. dan jugak. Di Facebook tadi, bermsg ngan Nanie. Tetibe dia tanye pasal kenduri Syitah. Aiyak! Sy dah lupe, trus cari² kad jemputan Syitah yg sampai 2 minggu lepas..
Alamak! Sok jugak la pulak, kat BM. Sib baik dekat tp.. dah last minute camni, mmg tak bley nak cancel klas dah ni.. camne nih? Semuanye 'adik-beradik' sy. Kak Ina 'kakak' sy dia USM (wpun school Kimia) dan Arun Lee. Teman bersembang between classes dan kawan gelak² cam budak². Azah pun mcm adik dah. Lame dah kenal dia sejak cawangan Jawi tu di bukak. Lagipun rumah dia yg paling dekat, lebih afdhal kan? Syitah plak 'adik' yg dah lame kenal. Masuk tahun ni dah 8 tahun dah kenal dia. Sejak dari dia jadi junior dlm KPKP saaaaaaaaaaaaampai la dia dah jadik lecturer kat UniMAP. Ape² project mesti join ngan dia and boleh kate tak pernah lost contact sejak dia abis kat USM nih..
Actually, dlm hati dah berbisik² tak mo gi sbb segan laaaa.. tatau nak ajak sape. Ija plak ade kenduri gak sok so tak leh la nak ajak dia..
Let yourself be enchanted, you just might break through..
Heppp.. sy dh pandai ckp Penang laaaaaa :p Bart kata Idgham ja tak brapa nak betoi lagikkk hehe..
Beberape YM sy dpt arini hehe..
YuhyiJr: dh power ckp penang? Ayu : tetibe nak sy rase nak gelak plak heheh..
Mak Su: ayu oi...perkataan dia..'belemoih'..la..
Mak Su: suka² ja tambah suku kata..
Mak Su: tapi tak pa...kesilapan boleh diperbaiki lg..
Alfy: Mmm.. sebelom ni awak cakap apa? Ana, sy pun nak kawen gak, tp tadek sape naaakkkk..
Dan status Ana selepas itu..
Ayu kene cari calonlah kalau macam tu.. apakata Ayu tulis je ciri² lelaki idaman hehe..
kwang kwang kwang.. ayu dah pandai guna perkataan camdeq!! Thats HUGE!! Ayu : nak majuk ngan dia watpa? "Eleleleh Ayu.. Awk memang dah pandai ckp Penang.. Tp idgham kena wat correction skit.. Jumpa Baizurah ngan saya.. Bleh kami bg kelas bahasa utara.. Hahaha (KELAS MAMI JARUM + MAMI TANJUNG)"
"Awak kan kawan baik sy.."
That particular statement means a lot to me. I consider it a lesson learnt. I had once used it to hide away my true feelings towards a friend, hoping I'd be able to protect my heart by saying this out loud whenever I was confused. But in the end, I hurt the both of us.. just because I wanted to prove to everyone that a boy and a girl CAN be bestfriends without being involved romantically. Then keluar la ayat mengorek rahsia kak Ayu dia: "Kak Ayu buat pe nak sorok²! Ingt sy budak² lagi ke? Sy dah 25 laaaaa.."
But it was a very 'basic' version of it and I found myself smiling as I told him my 'summary' of it. But then again, this isn't the first time that I find myself able to talk about it without choking up or feeling sad. A few months ago, I managed to bore (haha..) Puga by telling her an almost whole version of it and I realized then, though it still is one of the most significant 'events' in my life, I can actually move on. I could even stand having Puga 'discuss' it with me, as opposed to me not really wanting to talk much about it. I mean, before this, I could talk about it, but please forget about it once I stop talking about it. It was so different from the old me.. especially the one who received the first blow of it. So I wrote a long letter of my broken heart, only stopping to search for more papers for me to write in. I asked for her forgiveness, because she was the one who told me that me and him could never be ONLY bestfriends. Yes, it was her words I was trying to deny when I kept repeating those words to him, not realizing I was hurting the both of us in the process. I was never one to talk about feelings. I usually kept them to myself but during this time, the lost of him and Abah's secret marriage was too much for me to handle and writing was the only way I could talk about it. I refused to discuss it with anyone who asked. The most I'd do was cry, especially when Sid called me just to see if I was okay. I dunno where she heard about it, but apparantly, a lot of people knew about it but were afraid to ask me directly due to my secretive nature. The only person who heard me talk about it was Toroque and my dear cousin was patient enough to listen to it again and again and again as I kept crying day in and day out (usually around 3am up to Subuh!).. and I guess that was because it was through the phone. So I couldn't see his sympathetic look and he won't see how stupid I look when I cry. The first time I willingly talked about it without crying at all was with Remy during the long drive back from Pahang for Stopa's engagement. It was a long and boring drive and Remy was talking to me about his then-girlfriend, Hana (NOW his wife :) ). Then suddenly he ask me..
Maybe it was because it was boring to drive for 6 long hours, or maybe because the day was rainy and so gloomy. But I ended up telling him about IM, much to my suprise since I didn't actually know Remy that much then. I had to stop once in a while when the tears threatened to fall (I was driving then), but somehow, for the first time in my life, I felt a real big surge of relief. I never knew how relieving it was for me to talk about it. After that, I learnt to talk haha.. Still.. I wish I had 'talked' then. Not that it would make any differance now, but it might've made a difference then. Because of those words, I DID lose my bestfriend. I thought I was doing both of us a favour but it backfired and it made me lose one of the best things that ever happened to me. Iyer, sy percaya jodoh, sy percaya takdir. But I also believe, even if we weren't meant for each other, we could've still managed to stay friends if I wasn't so full of pride in wanting to prove my other friends wrong. If I was willing to 'talk' when he wanted to talk instead of pretending nothing was wrong and that we're cool about it.. "We're bestfriends, remember.."
AND I also believe, everything happens for a reason, no matter how painful it is. I believe I've grown up (even if I keep saying I'm sixteen haha..) and learnt an important lesson in life..